Creating Photomontage is always popular among the photo fans. 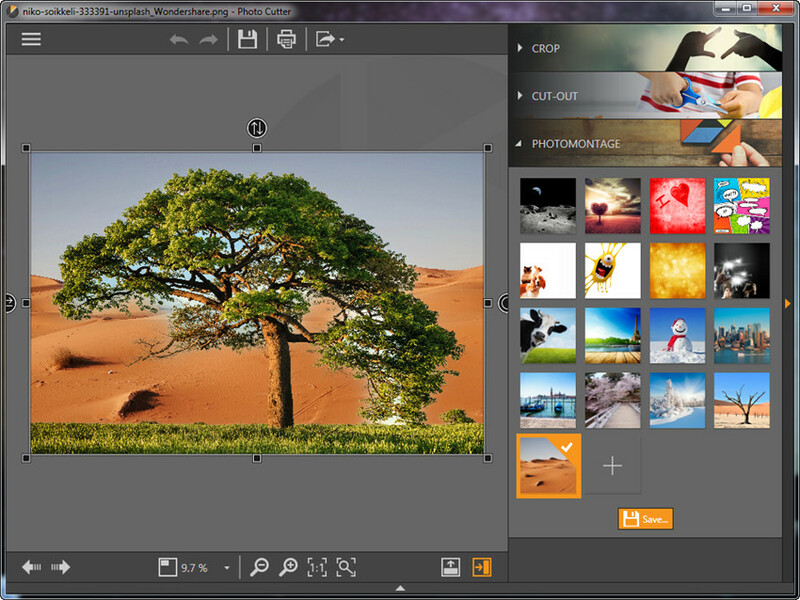 In this guide, we’ll show you how to create photomontage with Photo Cutter in detail. 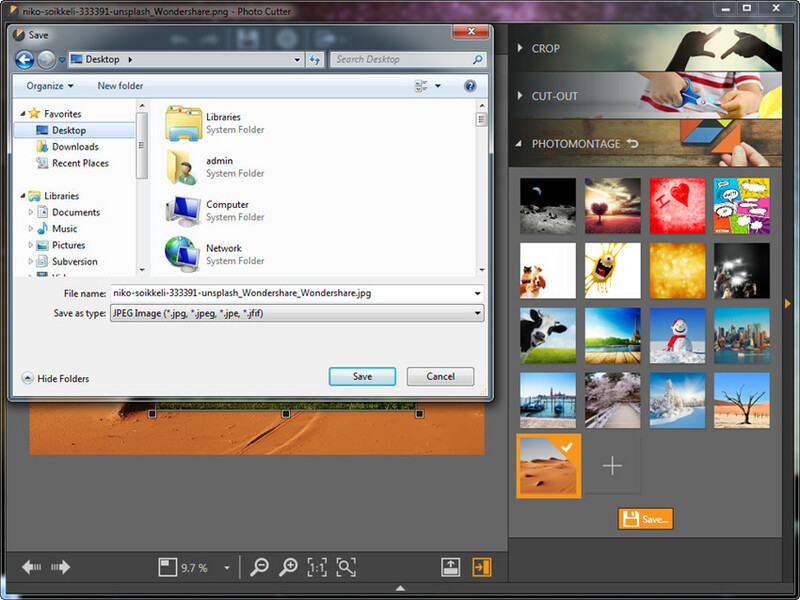 Start Photo Cutter and add photo from your computer, and you’ll see the panels at the right side of the program window. 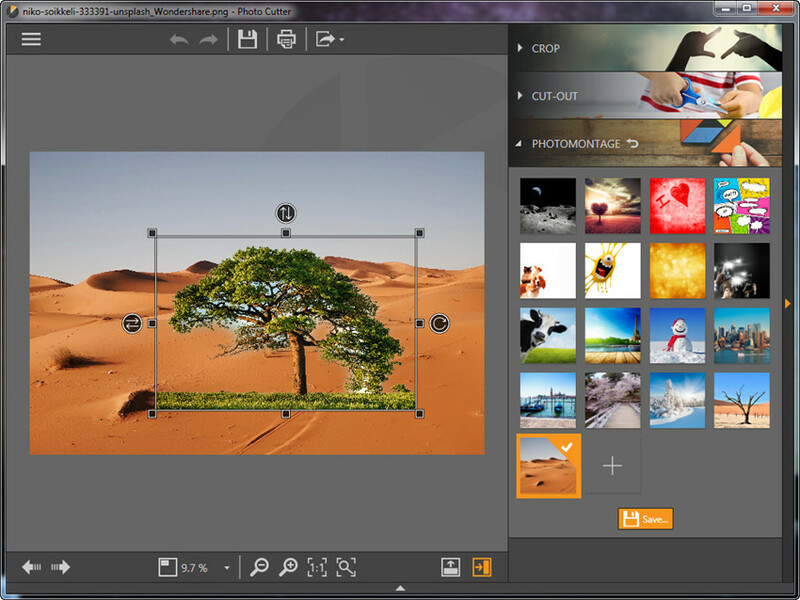 Now you can choose PHOTOMONTAGE category at the right side of the main interface. 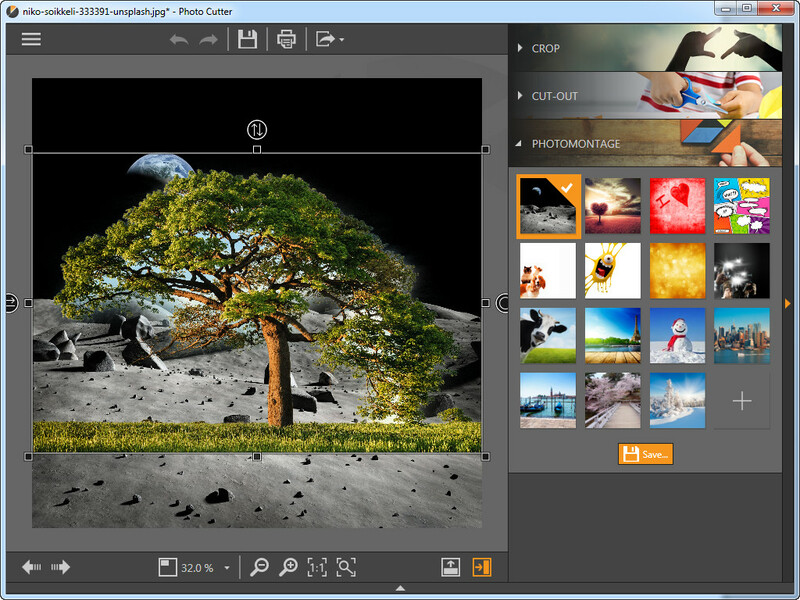 Now you can select a photomontage you want from the list, or click the Add button to add a photo montage from your computer. Step 3. You can adjust your photo to make it match the picture better. Step 4. When all the settings are finished, you can click the Save button at the right side to save the photomontage to your computer.